It's happening. 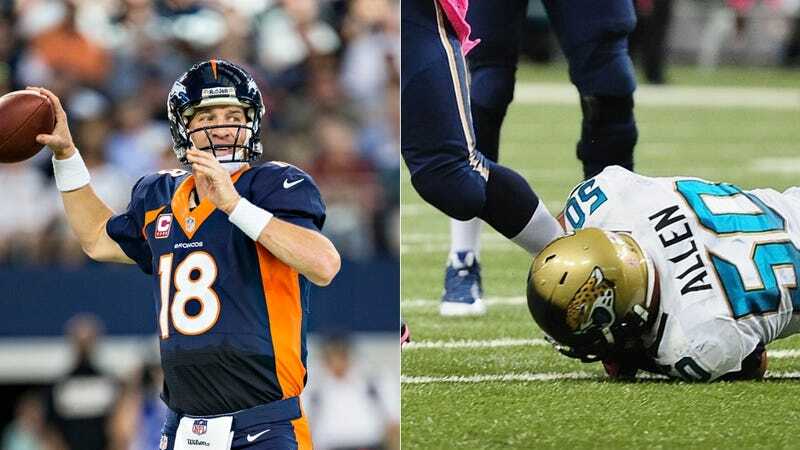 Sunday's Jaguars-Broncos tilt in Denver has opened with the Broncos anywhere from 27- to 28-point favorites. If that holds—and one sportsbook manager told us he still expects most of the money to come in on Denver—it'd be the largest spread in NFL history. It's not hard to see why. The Broncos' 51 points scored yesterday matches Jacksonville's total through five games. This led to some sniping between the teams on Twitter, but Sunday's going to be ugly. Vegas thinks Four Touchdowns Ugly. Below, our story from last week on how sportsbooks handle historic mismatches.